This New Hampshire White Mountains Bed and Breakfast has been highlighted by the prestigious Frommer's Guide as "one of the top 15 views in the world from a hotel or inn." We invite you to come see why! Come experience warm Yankee hospitality in a quintessential New England country inn. We offer 17 cheerful and comfortable rooms, an on-site pub, and 6 beautiful acres of grounds and gardens. Cross-country walking/snowshoe/ski trails start at our door, and downhill skiing is nearby. 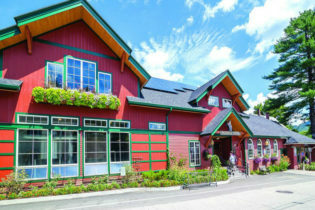 The critics rave about 1785 Inn, calling it “an amazing value””the best place to stay or eat in North Conway” and “one of the top 15 views in the world from a hotel or inn”. Make yourself at home in our comfortable guestrooms and start each morning with a delicious, hearty breakfast overlooking our famous view or next to an historic fireplace. The inn is located on 6 acres at the Scenic Vista, one of the most photographed and painted scenes in the country. During the warmer months, our swimming pool is open and there is also hiking, biking, fishing and more right from the inn. During the winter, try our cross-country ski & snowshoe trails, which begin right outside the door. There is also downhill skiing nearby. Year round the North Conway area is known for its shopping opportunities. 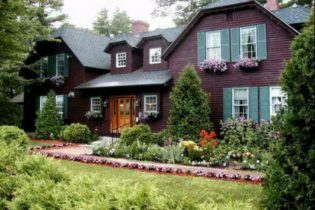 The Cabernet Inn Bed & Breakfast in North Conway, NH is unforgettably romantic, exquisitely maintained, and simply elegant. Whether you're looking for a romantic getaway, a two-day fun-filled adventure, or a place to escape the pressures of your hectic life, the Cabernet Inn B&B offers something special for everyone. Let us make your stay truly memorable. 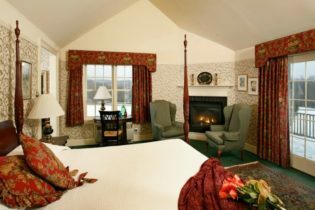 Enjoy the warmth and elegance of the Cabernet Inn B&B of North Conway, New Hampshire — a romantic and vintage bed and breakfast set among towering pines and just a stroll away from a breathtaking view of Mt. Washington. Built in 1842, the completely refurbished “cottage” now invites guests to enjoy the charm of the past and the luxury of modern amenities. Our completely non-smoking bed & breakfast is immaculately maintained for the comfort and pleasure of our guests. We are happy to make special arrangements for horseback riding, private, guided hikes, or sleigh rides through the snow. Awarded 3 Diamonds from AAA. And we do have a handicapped accessible guest room. We look forward to your visit! 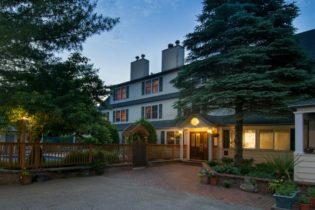 A romantic New Hampshire bed and breakfast offering superb food & gracious country comfort, located on ten beautifully landscaped acres with striking mountain views. Feel the stress of everyday life disappear during your stay at the beautiful Chesterfield Inn. Sit in front of the fire in the parlor or gaze out on the meadow with its cloud of wildflowers at this charming New Hampshire Bed and Breakfast. Spend the day reading in one of the Adirondack chairs in the backyard or explore the local villages and countryside surrounding this romantic Brattleboro inn. Enjoy a restful night’s sleep in one of the four-poster beds, waking up to the birds singing and sun shining, with nothing to do except to delight in a day with no schedule. Have a leisurely breakfast cooked to order in the porch dining room, with no interruptions except for someone offering you more coffee. 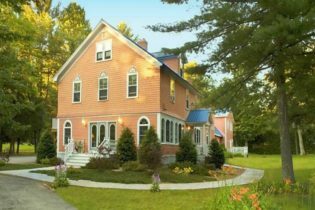 Return at dusk to this peaceful Keene, NH B&B to enjoy a sumptuous dinner in the candlelit dining room. 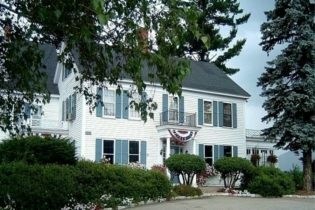 Privacy, delicious cuisine, and relaxation are yours at this beautiful NH bed and breakfast inn! Welcome to the Jack Daniels Motor Inn, offering warm hospitality in Southern New Hampshire's Monadnock Region. The inn is in a peaceful setting overlooking the Contoocook River, and in a convenient location - walking distance to downtown Peterborough, and easy access to Routes 101 and 202. Enjoy a wide variety of outdoor recreation in all seasons, including Mount Monadnock, the most-climbed mountain in the U.S.
We offer 17 spacious, private rooms, great for business travelers, tourists, and families alike. Area attractions include the Sharon Arts Center and the Mariposa Museum in downtown Peterborough, entertaining theater at the award-winning Peterborough Players professional theater, art studio tours and classes, programs at the Monadnock Center for History and Culture, contra dancing, festivals and music. It’s just a short distance to skiing at Crotched Mountain in Bennington, challenging mountainside golf in Jaffrey, fishing, swimming, and canoeing on our scenic lakes, rivers, and streams, and hiking in the Monadnock region’s seven state parks. Recently renovated 1870s farmhouse along the scenic Nubanusit River in the charming and historic New England town of "Our Town" Peterborough NH. Welcome to the Little River Bed and Breakfast. We are a recently renovated 1870s farmhouse situated along the scenic Nubanusit River in the classic New England town of Peterborough, NH which is located in the undiscovered Southwest corner of the state known as the Monadnock Region. Originally built as a single family house, it was purchased around 1910 by Marian and Edward MacDowell to be used as housing for the first male artists accepted to the world famous MacDowell Colony (the oldest artist colony in the United States). 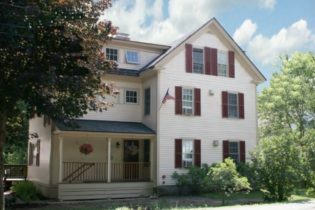 It is believed that Thornton Wilder stayed here during his Summers at the colony while writing his now classic American play “Our Town” (Grover’s Corners, NH was inspired by Peterborough, NH). In the 1930s and 1940s the house was operated as the MacDowell Colony Inn and welcomed travelers to Peterborough and the Monadnock region throughout the year. From the 1950s to the early 2000s the house was used as a single family and multi-family residence and in 2005 we purchased the home with the intention of converting it into a bed and breakfast. At the time of our purchase, we were unfamiliar with the home’s history and were pleasantly surprised to learn it had hosted guests in the past. With renovations completed, we opened Little River Bed and Breakfast in the spring of 2007. 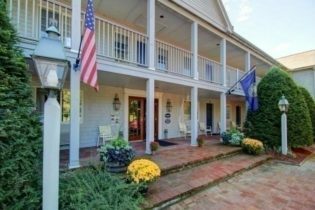 With a casual style, modern amenities, and hearty gourmet breakfasts, leisure and business travelers alike find the bed & breakfast a comfortable, relaxing, and enjoyable place to stay. Come be pampered at Mt. Washington Bed & Breakfast in Shelburne, New Hampshire. And if you choose an active day, you can hike, bike, swim, canoe, kayak, fish, fly fish, golf, downhill ski, cross country ski, go for a dog sled ride, snowshoe, ice climb, sightsee, go antiquing, go on a moose tour, bird watch, rent a snowmobile, build a snowman, visit the outlets or visit the many attractions in the area! Located in the Androscoggin River Valley and sitting on a hill overlooking the Androscoggin River is the Mt. Washington Bed and Breakfast. This 1800’s farmhoues built by the Philbrook family is located at the entrance to the Mt. Washington Valley. Views abound, so relax in one of the rocking chairs on our porch and watch the sunset behind Mt. Washington, Mt. Madison & Mt. Adams. Our seven guestrooms are blended with a balance of antique and modern decor. Each room is uniquely named after various birds in the area and have wonderful views and private baths – two have whirlpool tubs! Included is a hearty hot breakfast each morning to delight your taste buds. Every morning Mary Ann prepares something different – what will breakfast be today? Lemon Raspberry Pancakes, Cinnamon Stuffed French Toast, or Baked Eggs Italiano? Looking for something on the lighter side? A variety of hot & cold cereals are available – including Mary Ann’s homemade granola. Mary Ann’s breakfast will fuel you for your day. For daily activities you can choose to hike, bike, fish, swim, downhill ski, cross-country ski, snowshoe, go for a dogsled ride, ski Tuckerman’s Ravine, hike Mt. Washington, visit Storyland/Six Gun City/Santa’s Village, go shopping, antiquing, or just curl up on the sofa in the “Knowing Room” to read a book or sit on the porch and gaze at the Presidential’s and bird watch. Afternoon home baked goodies await your return in the afternoon – from Auntie May’s Oatmeal Spice Cookies to Triple Threat Brownies! Come be pampered at the Mt. Washington Bed & Breakfast! Let us be your White Mountains destination! 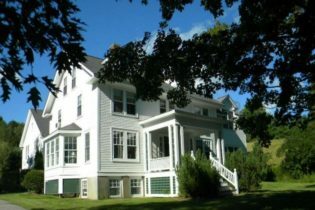 Unwind by the river in a casually elegant turn-of-the-century home at Riverside Inn Bed and Breakfast, in North Conway, New Hampshire. Riverside Inn Bed and Breakfast is located in the quaint New England mountain village of Interval, in Mt Washington Valley. Gas fireplaces and stoves add romance to our queen and king rooms and suites. Quietly nestled between North Conway and Jackson, it’s the perfect headquarters for hiking, climbing, skiing, canoeing, shopping and other MWV adventures. A full country breakfast, non-smoking rooms, WI-FI, A/C, and attentive service await you. The Inn’s Living Room is a popular place for relaxation and conversation. Spacious yet intimate, with three inviting couches, comfortable wing chairs, a baby grand piano and spinet, gas fireplace, and bright airy views of the lush landscape surrounding the Inn… it’s a natural gathering place. Afternoon tea with home-baked cookies is served here. The Riverside Inn has 5 handsomely appointed guest rooms and 1 two-bedroom suite, all with private baths. The numerous inviting public rooms showcase the surrounding wooded landscape, designed to enhance relaxation and encourage casual conversation… those treasured characteristics of a classic bed and breakfast. The East Branch of the Sacco River, stretching the entire length of the property, provides relaxing sound and fabulous views. Welcome to The Darby Field Inn and Restaurant! We are located in Albany, NH, just six miles from North Conway. The inn is nestled on a hill at the end of a road, inviting travelers to journey off the beaten path and have an adventure, or enjoy some quiet time with nature! Our romantic inn is complete with fireplaces, Jacuzzi tubs, and spa services. We offer a variety of special touches, and intimate Elopement and Wedding Packages. On-site wooded nature trails begin just outside our tavern door and are perfect for snowshoeing or walking. The perennial gardens are bursting with color and hummingbirds, and the outdoor pool beckons on the hot days of Summer. Whatever your reason for visiting the area, The Darby Field Inn and Restaurant offers its guests a peaceful respite from the outside world! Trumbull House Bed & Breakfast provides luxury country lodging just 4 miles east of Dartmouth College and 3 miles from the Dartmouth-Hitchcock Medical Center. Whether traveling on business or for pleasure, you'll find a stay at the Trumbull House B&B to be one of your most enjoyable travel experiences. Hanover’s first and finest Bed & Breakfast offers luxury country lodgings just four miles east of Dartmouth College and three miles from the Dartmouth-Hitchcock Medical Center. Situated on 16 lovely New Hampshire acres, the Trumbull House boasts beautiful grounds and five glorious guest bedrooms, each with its own private bath. The Guest Cottage is a separate building behind the main house – perfect if you are looking for a private haven for romance or just to get away from it all. Breakfasts are bountiful and amenities abound. Whether traveling on business or for pleasure, you’ll find a stay at The Trumbull House B&B to be one of your most enjoyable travel experiences. The Trumbull House B&B’s sixteen acres include a large swimming pond, meadows, sugar maple grove, and woods. A newly-paved basketball half-court invites exercise, and hiking and cross-country ski trails traverse the property and link into the Appalachian Trail. Golf, canoeing, and other recreational activities are less than ten minutes away. Dartmouth College offers many cultural and sporting events, and the Town of Hanover offers a wide variety of shopping and dining options. Computer facilities, fax, scanner, and copier are available in our second floor Business Center. Internet access is available throughout the house, and our new Conference Center is perfect for small meetings and seminars. Mid-week corporate discounts are available. We look forward to your visit! 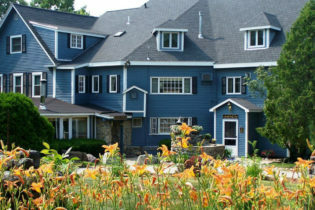 Welcome to our White Mountains Inn located in charming downtown North Woodstock, New Hampshire. Our on-site restaurant, the "Station" (located in a converted train depot) features excellent food and a exciting variety of live entertainment, and our Brewery offers delicious homebrewed beers. A full country breakfast is included. We are in a prime location near the area's many attractions and ski resorts like Loon Mountain, Waterville Valley, and Cannon Mountain. Swimming in the sparkling Pemigewasset River is just across the street in Cascade Park.